The Fall 2015 ArizMATYC Conference is scheduled for Friday, October 9 (8:45AM – 4PM) at Mesa Community College in Mesa, Arizona. Registration will also be available on the day of the conference but lunch may not be available for on site registration. 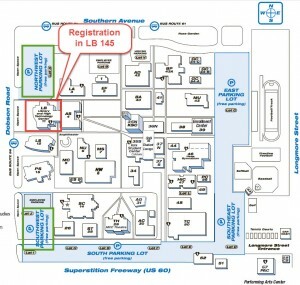 Conference registration is $15 and is payable via Paypal or the day of the conference. The deadline for conference proposals has passed. Consider presenting at the Spring ArizMATYC meeting. 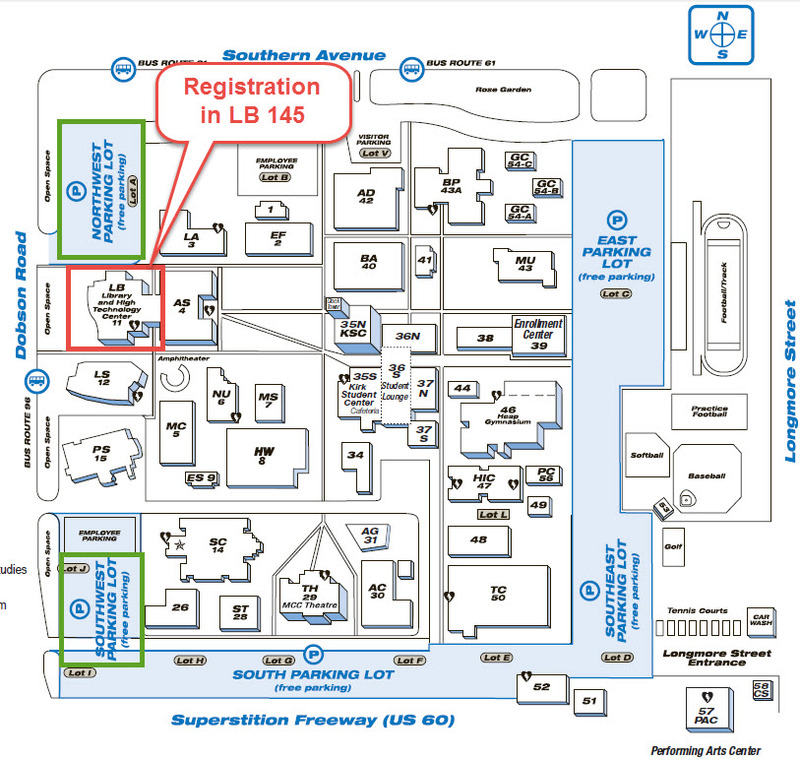 The Northwest and Southwest parking lots are close to the conference registration area in LB 145 (in green). Several vendors will be available at the conference. Potential vendors should contact the ArizMATYC Treasurer at treasurer@arizmatyc.org. The Dobson Ranch Inn and Resort (1666 S Dobson Road, Mesa, AZ 85202, 844-203-9854) is about 1/4 mile from the campus and is advertising a rate of $99.99. Several other option are also located nearby. For questions, contact webmaster@arizmatyc.org .